I am so excited for this month's challenge theme! Honestly, at first, I wasn't super excited about the chalkboard theme. 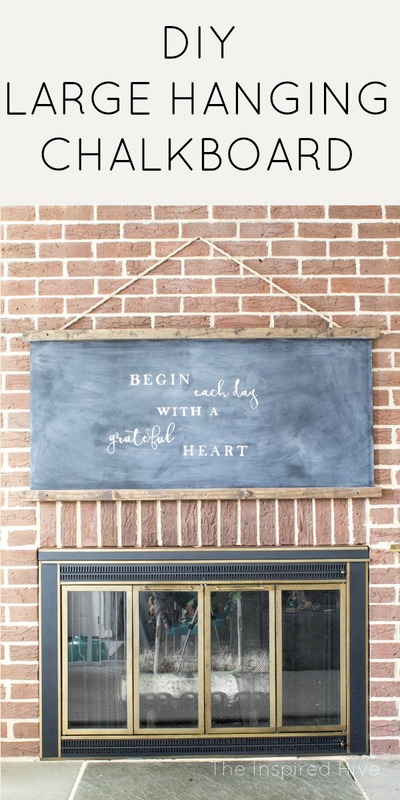 I love chalkboards, but I didn't really have any good ideas. And then three days before the challenge it hit me. 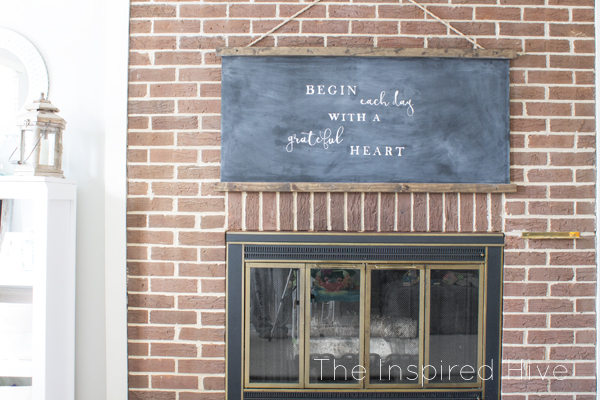 I've been in search of the perfect piece of art for our brick fireplace for a long long time. I've also been trying to tie the style of the rest of the house into the fireplace room because it is our playroom but also the first room you see when you walk into the house. 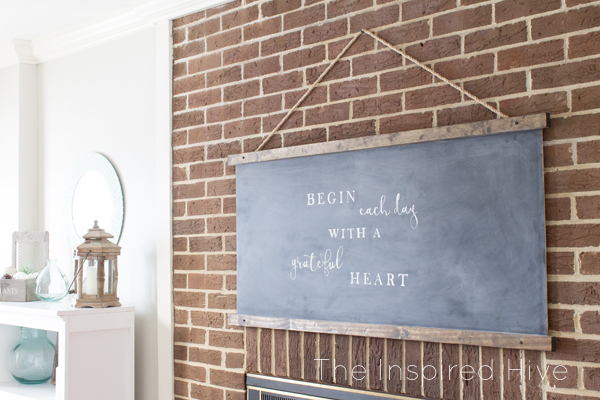 Why not build a giant farmhouse style chalkboard to hang on the brick wall? I'm so excited for how it turned out! 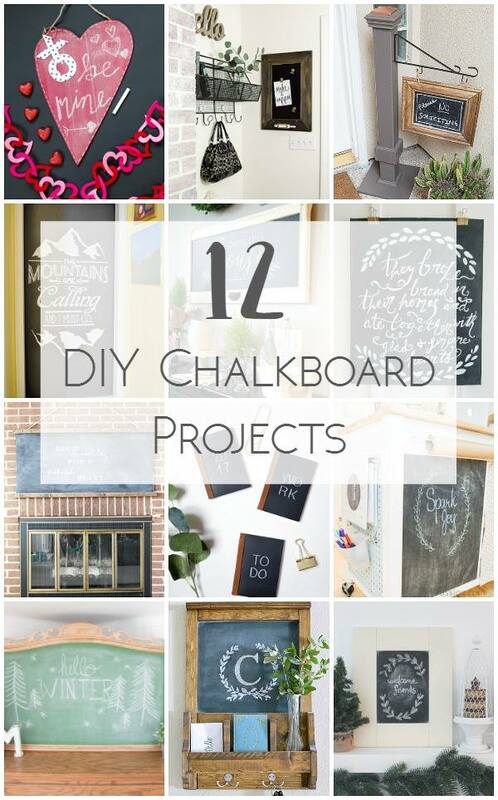 And I'm even more excited for you to see the awesome chalkboard projects my friends came up with. 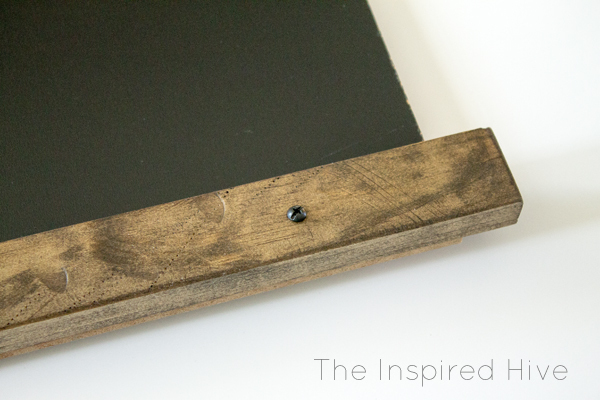 Next, I measured and drilled some pilot holes for attaching the 1 x 2s to the chalkboard. Then, I stained them using one of my favorite stain colors. I love the distressed parts pick up more stain. It adds so much character! 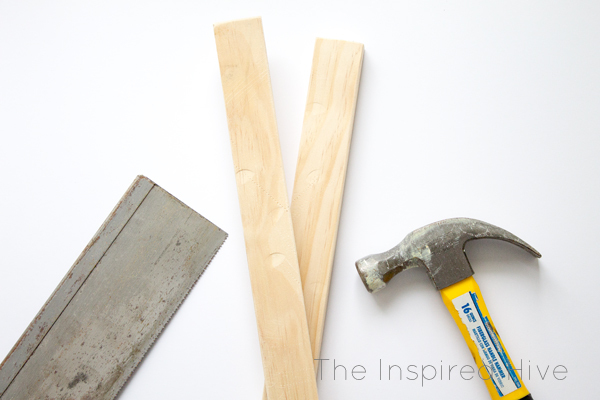 To attach the 1 x 2s to the chalkboard, I lined them up along the bottom and top edge and used a drill to attach with screws. I decided to use some acrylic black paint to make the screws blend in a little better. I added nuts to the screws from the back to keep it nice and secure. 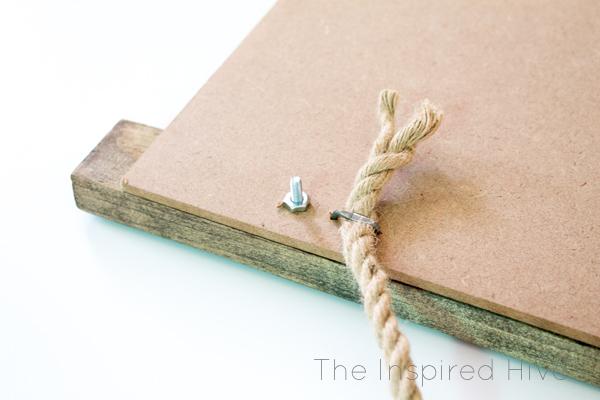 Next, I attached the jute rope. 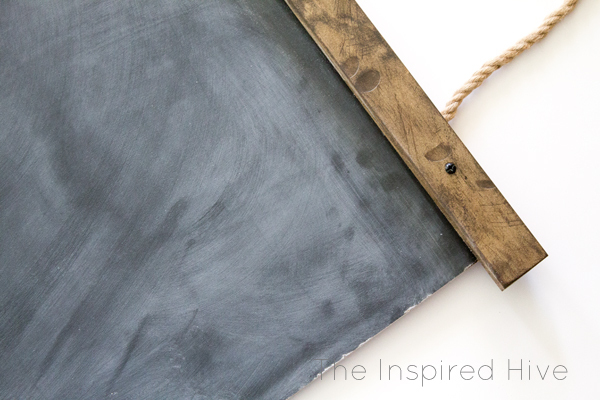 I brainstormed many different ways to hang the chalkboard from this rope, and my husband remembered we had these electrical cable staples from our laundry room addition. They worked perfectly for this!! You just hammer them right in. The rope is nice and snug. It won't be budging any time soon! 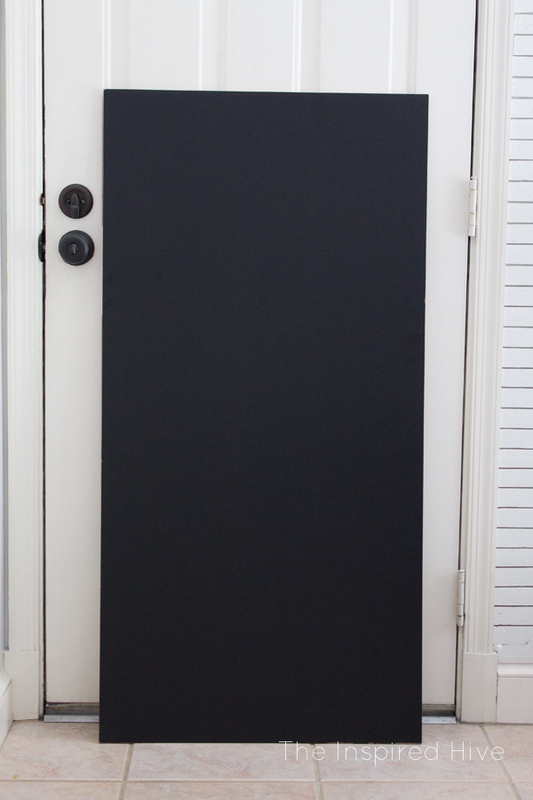 Now, before writing on a new chalkboard, you have to season or you will get "ghosting." 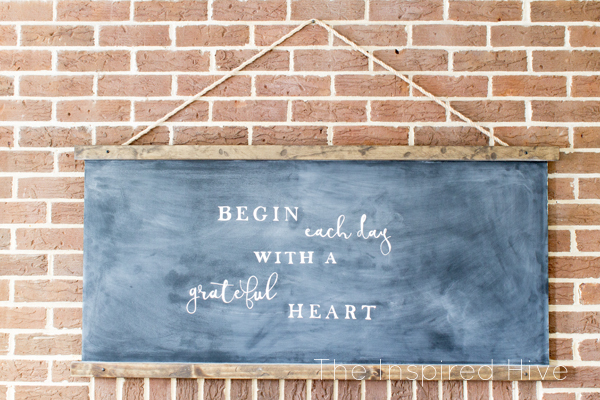 Have you ever written on a chalkboard and then when you tried to erase it, you could still see the old letters? Yep, ghosting is not our friend. Season your board! 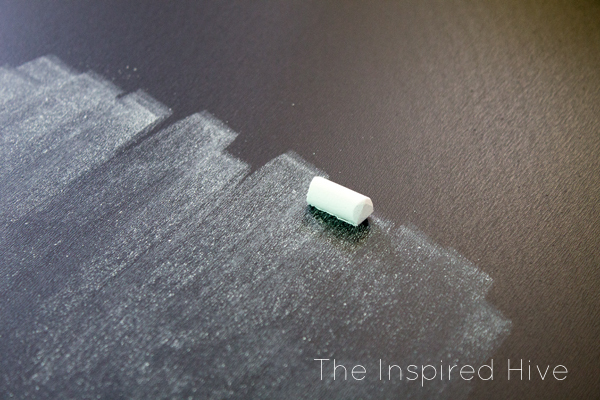 To season a chalkboard, cover the entire thing in chalk using the side of a piece of chalk. Warning, this creates lots of dust!!! I shade the whole thing vertically, and then the whole the horizontally. This way you fill every little pore with chalk dust. 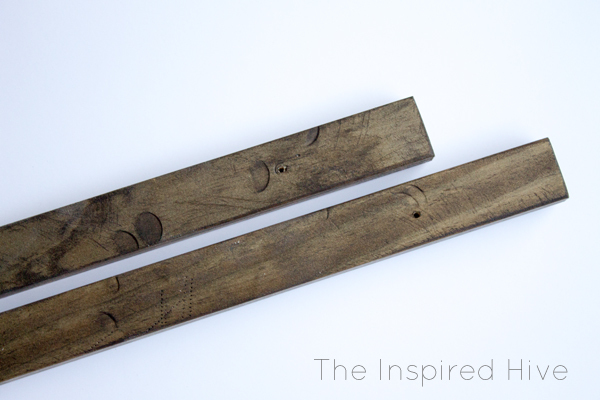 Then, use a soft cloth to remove the chalk dust from the board. 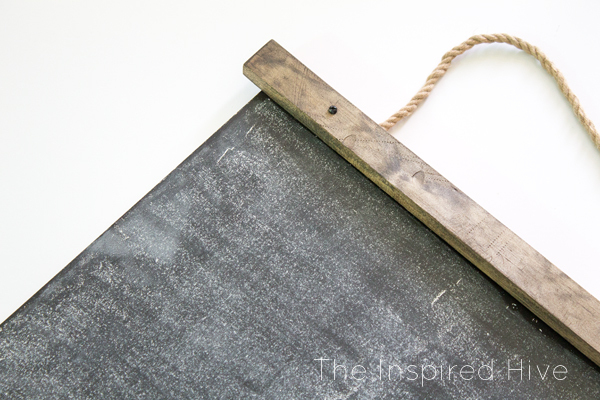 You should now have a nice aged chalkboard finish that is ready for writing! 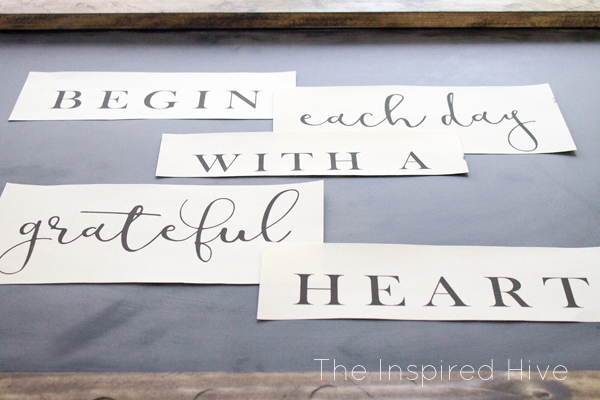 I love making signs, so if you want a more in depth tutorial, step by step photos, and more project examples, you can take a look at my page on how to transfer printed text. It's actually fairly easy. Print your text in the fonts of your choice. 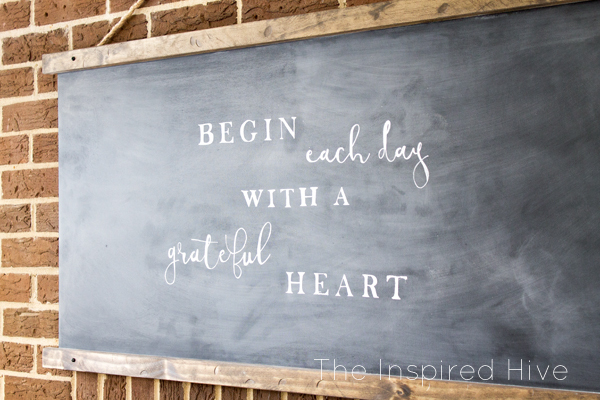 Cut them out and arrange them on your chalkboard. 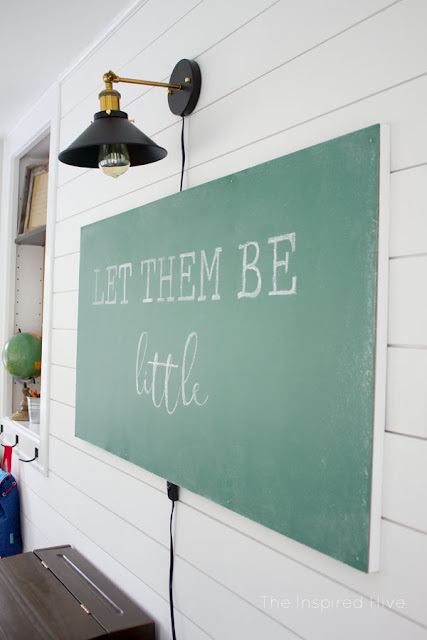 Shade the entire back of the print with chalk (for non-chalkboard projects, shade with a pencil). Trace the letters on the front using a pencil. When you lift the paper, you should see a faint chalk outline on your board that you can then trace regular chalk or a chalk marker. I chose to use a chalk marker for this project so that the letters would stand out more. 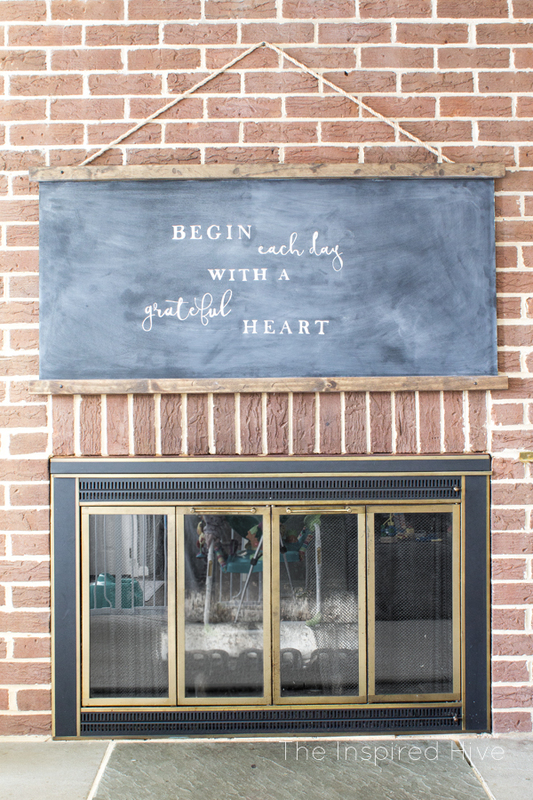 I love how our new chalkboard looks hanging above the fireplace. It's the perfect piece of large scale art. 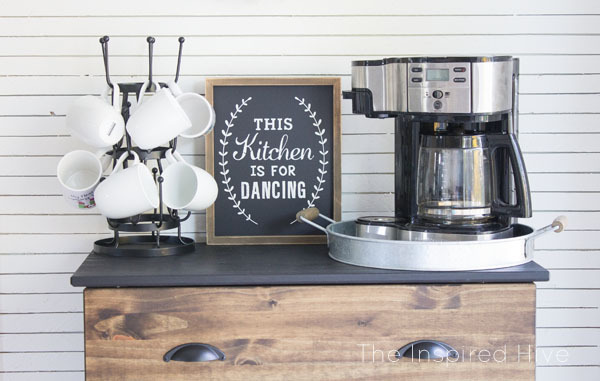 It has become the focal point of the room and really pulls the whole space together. This is gorgeous, Nicole! I love how you framed it. Love this so much! You did such a great job!